For good or bad, the internet and social media have made it easier for people to communicate directly with businesses and brands. While it can be annoying when small issues turn into major social media crises, the ability engage with consumers gives businesses a chance to create positive experiences with their customers. Creating positive customer service experiences is more than just a buzz phrase. Good customer service is essential for creating return customers and building a positive brand perception. But recent research suggest it can directly affect sales. A recent study from Twitter found that people were willing to pay more after positive customer service experiences. The research is based on data from tweets to airlines. According to Twitter, every month Twitter users send over 100,000 questions, complaints, and comments to major US airlines. Addressing all these tweets may be a daunting task, but an analysis shows there was value in answering customer service requests and to do so quickly. The researchers found that “when a customer Tweeted a question or complaint to an airline and received a response, they were willing to pay almost $9 on average more for that airline”. This shows that in a competitive marketplace, the positive interaction generated by good customer service via social media can give businesses an advantage. There was also data that showed that people were willing to spend even more depending on how quickly they got a response. 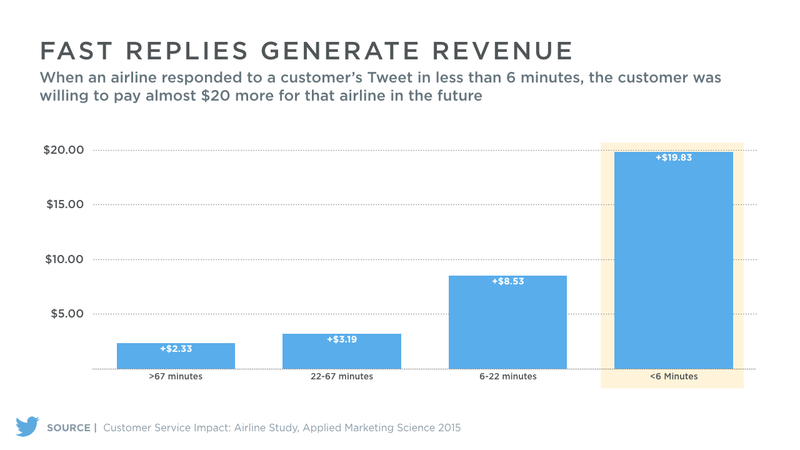 The analysis found that if an airline responded to a customer’s Tweet in less than six minutes, the customer was willing to pay almost $20 more for that airline in the future. The benefit declined the longer it took the airline to respond. Those that took longer than an hour to respond to the Tweet, only saw a $2.33 increase in what people were willing to pay for that airline in the future. The data also suggested that Twitter users were more likely to talk about positive customer experiences than those who used other customer service channels. Among those who received a response from an airline on Twitter, 82 percent reported sharing their positive experience with others. In the group who reported using other channels for customer service (phone, email, chat, in-person, other social media), a smaller, but still sizable portion (44 percent) of the respondents shared their positive experience with someone else. All of this points to the overwhelming importance of good customer service. This research shows that customers are willing to pay a premium for good customer service, and it’s up to business owners to deliver. Also, social media has changed the nature of customer service, and businesses that don’t use social media for customer service effectively are missing out on potential revenue. 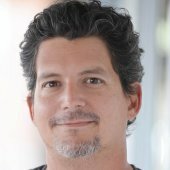 For more recent news about social media marketing, read this report on Facebook’s newest additions for local ads.